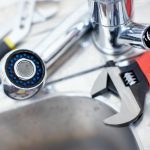 Domestic Plumbing and Heating (Scotland) Ltd are a family run business and have been established since 2004. The main office is based at 12 Langlands Street, Stobswell, Dundee and you can pop in for any helpful advice or information regarding our services. We provide a 24 hour emergency call out service – 01382 228226 and cover a wide array of areas including Tayside, Angus, Fife and Perthshire. Domestic Plumbing and Heating carry full Public Liability Insurance. We offer free home visits for any works required and we provide you with a detailed estimate, along with providing an all trades package, if required so you know you’re in safe hands. 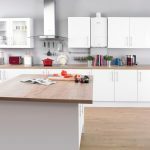 All works and products are done to your requirements and are fitted with by a professional tradesman, backed up by a workmanship guarantee, which makes customers feel confident in using our firm for any works they require. You will find our staff friendly, highly skilled in their work and professional at all times and we make sure to we work to suit our clients needs, including meeting tight work deadlines with no disturbance to your household. Our company is widely recognised for our excellent service and workmanship and no job is too big or small for our skilled workforce including Joinery, Electrical, Tiling and Flooring services. As a company we feel that there is no better satisfaction than knowing you have done the job well and that the customer is completely happy with our services. "We take pride in offering a professional service"